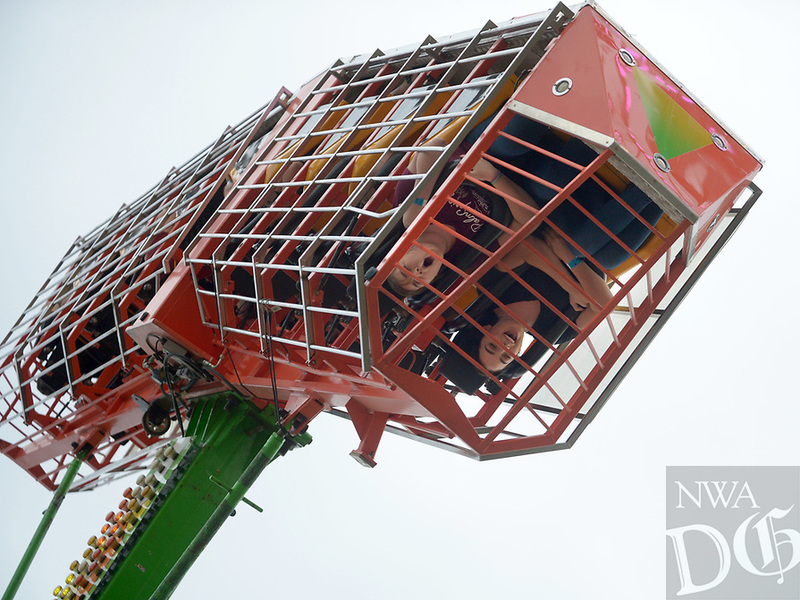 Friends Mercedes Swift (left) of Siloam Springs and Kace Kimble of Stilwell, Okla., scream Wednesday, Aug. 8, 2018, while riding The Screamer during the 120th annual Tontitown Grape Festival in Tontitown. The festival continues through Saturday. The festival features a nightly midway, an arts and crafts fair, spaghetti dinners and live entertainment.